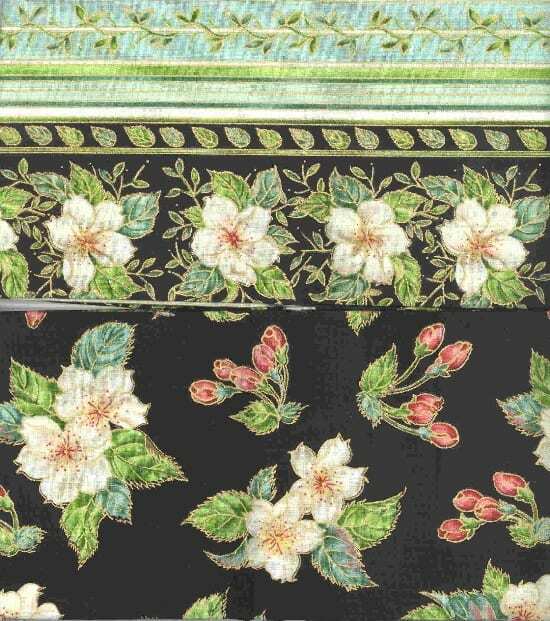 From Blank Textiles comes the Cherry Blossom Lane series of quilting fabric. This piece has wide stripes of greens and blues and a wider stripe of cherry blossoms on a black background. Pictured on the top. Free pattern also available with a fabric purchase in this series!